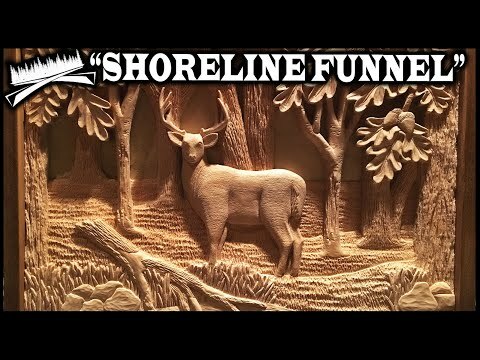 Wood carved time lapse of a whitetail buck and wildlife scene all done in basswood. Hand chisels and a dremel were used, but the majority of the carving was done with chisels. The dremel helped with the small detail work. It was carved for my cousin who had some interesting history with the buck during bow hunting season. The buck was believed to have been bedded in a nearby swamp and would travel corridors along the lake shore to the nearby crop fields. We found him expired along the lakeside one day while we were out scouting. The buck measured around 160" which is a quality buck in the areas we hunt! It's approximately 18"x 20" and a little less than an inch in carving depth. It had its fair share of challenges, but I really enjoyed this carving and the depth of it.